Fall Delegation to Bolivia: Presidential Election October 12, 2014. Food Sovereignty and Indigenous Resistance! 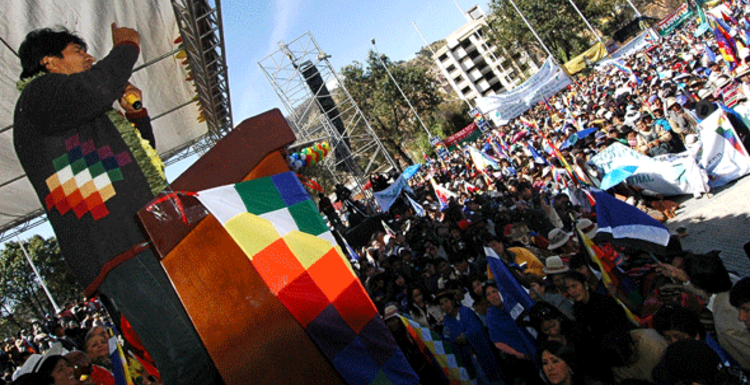 Bolivia is the first country in the hemisphere governed by a progressive indigenous. Learn about indigenous struggles for sovereignty over food, land, water, and the electoral system in Bolivia. Meet with farmers, community leaders, government leaders, and others. Experience the rich culture of the Andes and soak in the sights, sounds, people, and politics in this historic moment in Bolivia. Where: Start in Cochabamba and end in La Paz; visits to Coroico and Coripata (Yungas de La Paz), Cochabamba and Chapare.